The NEW Fujinon XF56mm F1.2 R lens launched by Fujifilm is the latest professional grade addition to its range of X-Series interchangeable lens cameras. Less than half the size of an equivalent full-frame camera lens the Fujinon XF56mm F1.2 R offers fast, quiet auto focusing as well as delivering beautiful bokeh, This makes it the ideal choice for high quality portraits. The new optical design of the lens includes two ED (extra low dispersion) elements, one double-sided aspherical element, plus four elements with a convex surface facing the subject, which combines to reduce spherical and chromatic aberrations. This helps ensure the best image resolution, even when the lens is at its widest aperture of f/1.2. Complete with impressive attention to design detail, the Fujinon XF56mm F1.2 R sits comfortably in the hand and includes an external metal aperture ring for a premium quality feel. 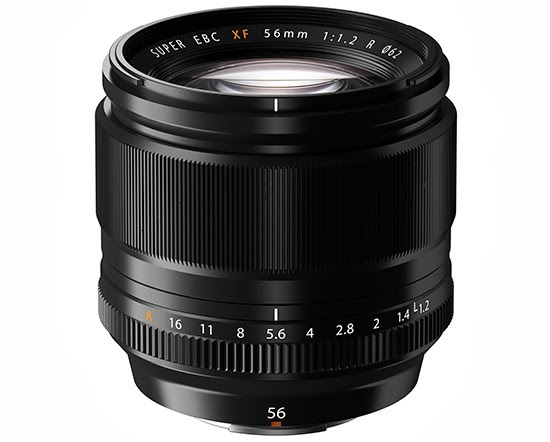 The Fujinon XF56mm F1.2 R is a great addition to the Fujifilm X-Series and will very shortly be available to preorder from Digital Camera Warehouse. Fujifilm Australia expects the lens to be available to ship March 2014.